Superior Sound Control. Reduces both airborne noise and impact sound transmission through the floor. Reduces subfloor imperfections and muffles hollow sounds. FAST and EASY installation with overlap moisture sealing tape. Suitable for use over concrete and wood subfloors. Structural stability prolongs the life of your floors. 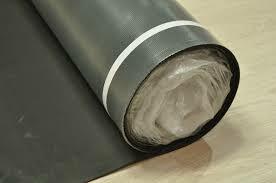 1/8 (3mm) high quality Ethylene Vinyl Acetate foam with built-in polyethylene water barrier. Copyright © 2018 Integrity Laminate Flooring - All Rights Reserved.